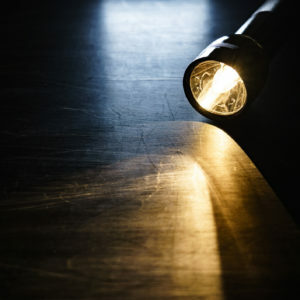 Power outages can be frustrating and dangerous – striking throughout the year and sometimes lasting for hours, even days. It’s these long stretches without power that can pose a danger to you, your loved ones, and your property. Being prepared is key to minimizing risks until the power is restored. Take an inventory of the items you need that rely on electricity and establish a backup plan. Stock up on flashlights and extra batteries. In the colder months, make sure extra clothes and blankets are readily available in case you cannot heat your home. Have extra water and nonperishable food that doesn’t require cooking – unless you have an alternate cooking source that doesn’t require electricity. Talk to your doctor about a plan for any home medical devices that require electricity and any refrigerated medicines. Have a first aid kit, list of emergency phone numbers, and keep your cell phone charged – especially when bad weather is predicted and a power outage is likely. Sign up for local alerts and warning systems. Invest in a surge protector for your electronics. Try to keep the gas tank in your car full and have cash on hand since credit cards and ATM’s may be out of service in a power outage. Install carbon monoxide detectors throughout your home. Consider investing in a generator and if you do, make sure you are aware of how to operate it safely. Unplug your computer, TV, and other electronics to protect them from power surges. Eat and drink regularly to stay hydrated and maintain body temperature. Do not run a generator inside your home – this can create deadly carbon monoxide fumes. Generators should only be used outside, at least 20 ft away from your home. Do not use a gas stove to heat your home. Keep the fridge and freezer closed – this will help maintain the coldest temperatures possible inside and preserve your food. Check on your neighbors, especially if an outage occurs during extreme temperatures. If possible, go to an alternate location for heat or cooling. Check your fridge and freezer to see if the contents are still safe to eat. Use a thermometer to test food – any food that is 40 degrees or higher should be disposed of. When in doubt, throw it out. If the power has been out for more than a day, discard any medication that should be refrigerated, unless the label says otherwise or the supply is critical. If you believe your property was damaged during the power outage, contact your Independent Insurance Agent as soon as possible. For more information on how to prepare for and stay safe during a power outage, visit Ready.gov.